From the Church of St. John the Evangelist, we head towards Piazza Duomo,Girolamo Francesco Maria Mazzola, known as Parmigianino (Parma, January 11, 1503 – Casalmaggiore, 24 August 1540), was an exemplary painter of Manierist current and Emilian painting in general. His works in our area can be admired both in Parma and within the Castle of Fontanellato. His artistic career begins in Parma as an apprentice of Correggio in the Monastery and Church of San Giovanni Evangelista, behind the Cathedral, where he paints the two putti that are in the high angles of the plume with St. Luke and St. Ambrose and Cainus killing Abele in t continue straight until we reach Strada Garibaldi. Here we continue on the right until we find ourselves in front of the Basilica of St. Mary of Steccata, in which the artist painted and completed in a few months the vault. From here we go back to Strada Garibaldi to the garden of Piazzale della Pace and we enter the Palazzo della Pilotta there is the National Gallery, which contains the famous painting The Turkish slave, painted by Parmigianino. 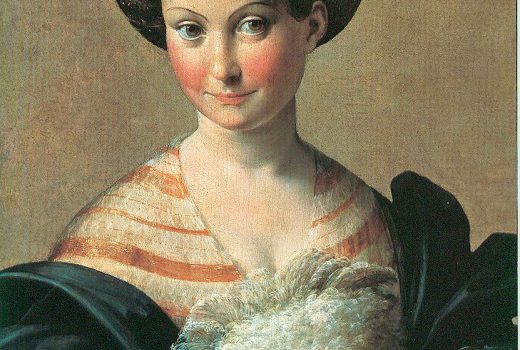 If you have some time at your disposal, we suggest you also visit the Fontanellato Castle, which is about 20 km from the city, within which Parmigianino frescoes the Paola Gonzaga from Sabbioneta representative chamber, wife of the feudal lord.